Among the different style of Bak Kut Teh in Singapore, my favourite is still the Teochew Bak Kut Teh. To savour this local delicacy, one of my favourite place to visit is Rong Cheng Bak Kut Teh at Midview City 榕城(新民路)肉骨茶. 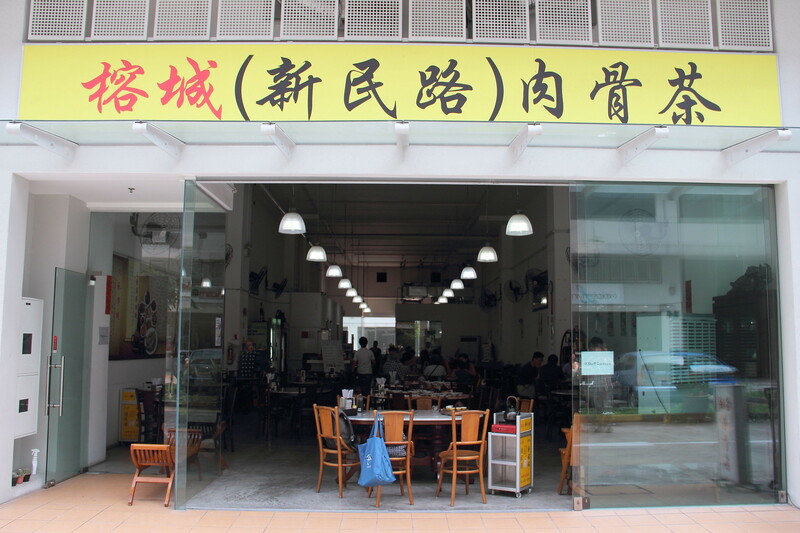 Don't be confused by the other Rong Cheng Bak Kut Teh that is a stone throw away at Blk 22 Sin Ming Road. In fact, that is the original stall runs by Lionel's dad, Mr Lim who started the business back in 1976. 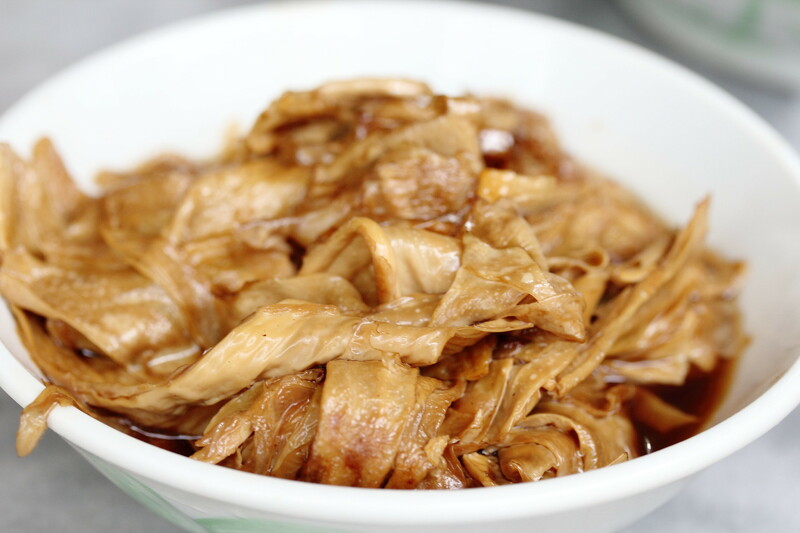 Both outlets uses the same ingredients and recipe just that one is a stall in a coffeeshop while the other at Midview City is a standalone restaurant which is more spacious and offers a variety of cooked food on top of their popular teochew style bak kut teh. 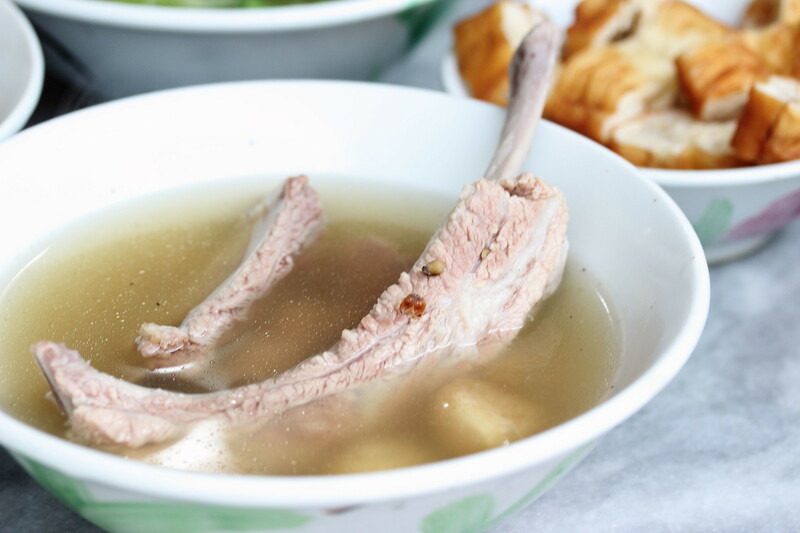 Not known to many, in the earlier days no one uses the prime ribs or better known as 龙骨 (dragon bone) for their bak kut teh. It was Uncle Lim who started to use them and everyone follow suit. Nowadays the prime ribs are a priced item as the demand has increased but there are just the number of spare ribs available in each pig. Lionel shared with us that he has an open kitchen and he will cook the doneness of meat accordingly to the customer. He told us the young generations prefer their meat to be tender and fall of the bone while the older generation likes it tougher with a bite. I belong to the young group. I like my meat to be tender and my soup to be peppery. Rong Cheng bak kut teh hits the right spot for me. Uncle Lim was the first to introduce the prime ribs bak kut teh. 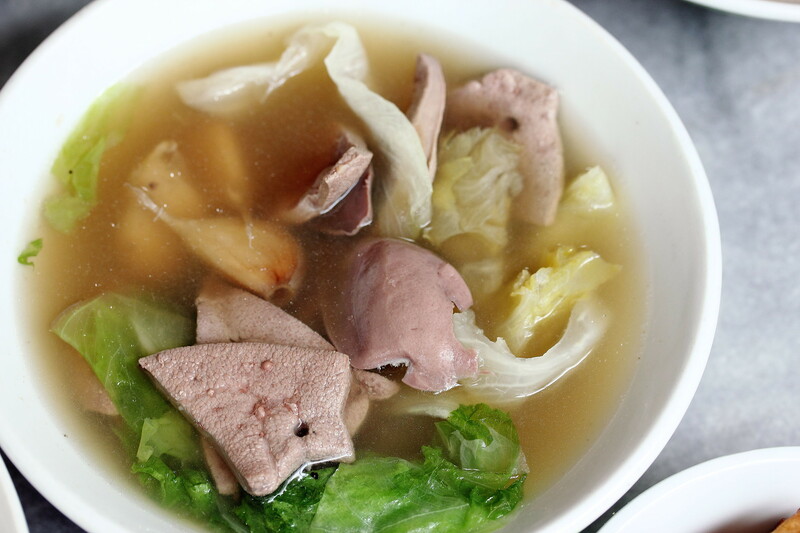 His son, Lionel inherited his entrepreneur spirit and came up with the Sliced Belly Meat Soup ($7) or what I called the sliced pork bak kut teh. This is the first in Singapore catering to the young and more health conscious crowd. 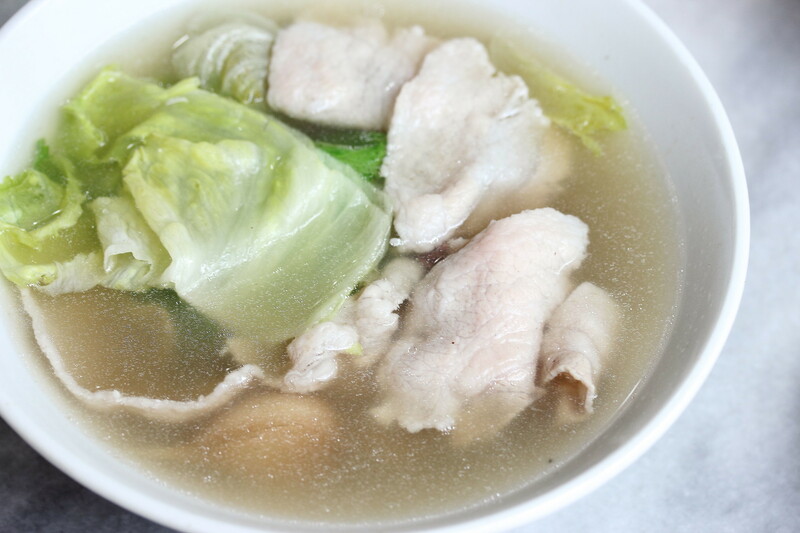 The soup may not be as robust compared to the pork ribs but it has a more subtle clean flavour. 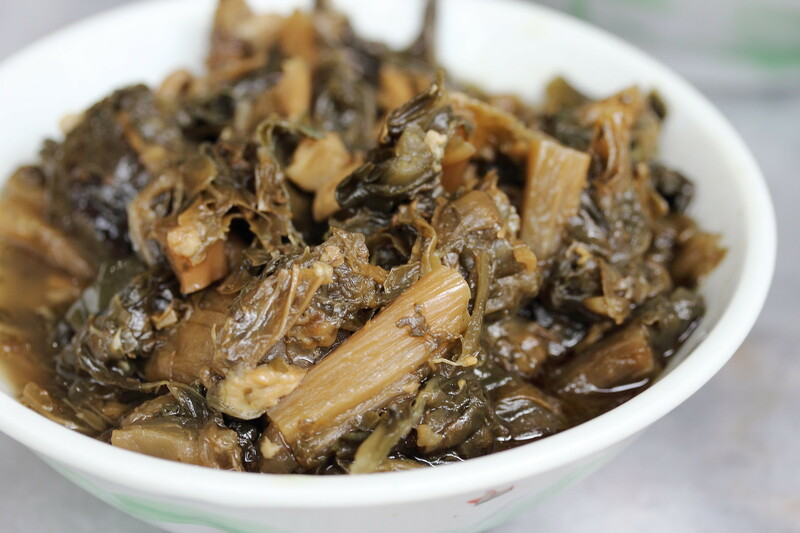 Besides the bak kut teh, Rong Cheng also offers some side dishes to go with the delicious bak kut teh. During my visit, I got to try the Salted Vegetable ($1/$2), Braised Beancurd Skin ($1/$3) and the Liver & Kidney Soup ($6). The comforting and hearty sides are perfect to the complete the whole meal. 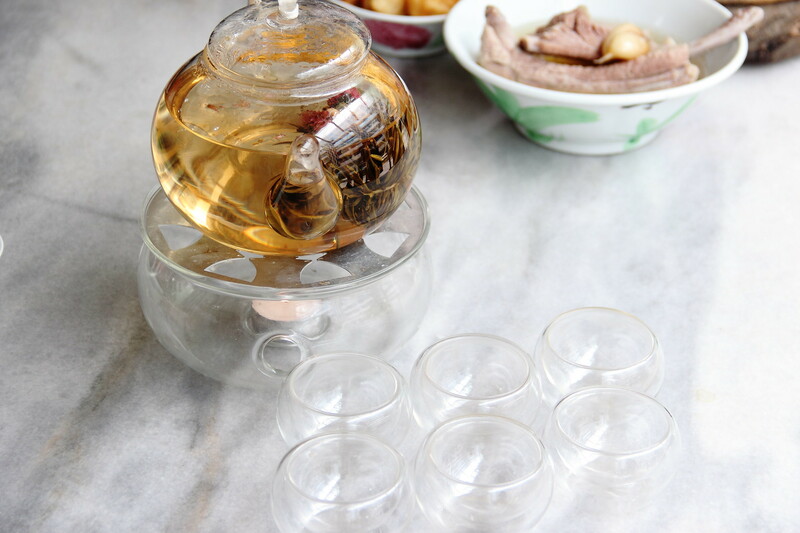 Drinking tea or more correctly 功夫茶 (Gong Fu Cha) is part of the whole food heritage of bak kut teh. In the early days, after finishing the bowl of pork soup, it is refilled with tea to wash down the greasiness. As time evolved, the tradition of consuming the pork soup and drink tea becomes our modern day's Bak Kut Teh. 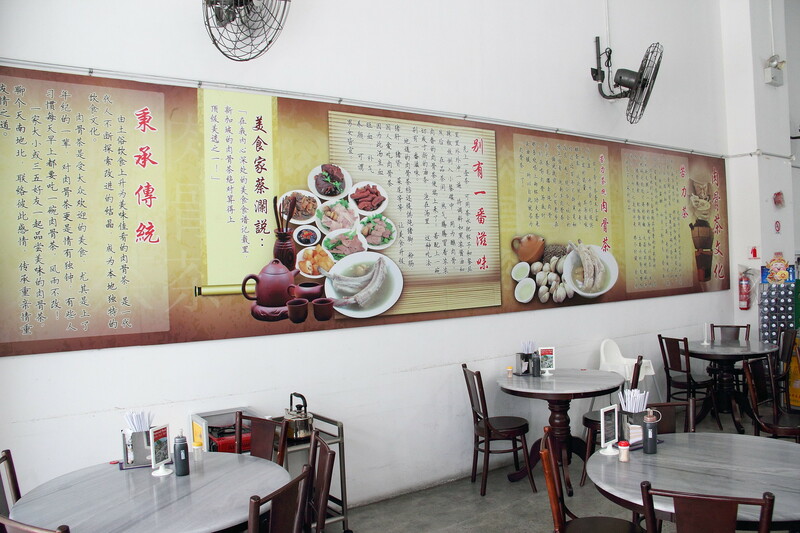 Rong Cheng still continues this tradition servicing their bak kut teh with gong fu cha. Their tea are from one of the oldest tea merchants in Singapore, Pek Sin Choon. If you feel intimidated by the different steps in drinking Gong Fu Cha, Rong Cheng's staff is more than willing to guide and assist it. If not, Lionel has also introduced Floral Tea to pair with bak kut teh. While the tea taste is milder, it comes with a more floral fragrance. 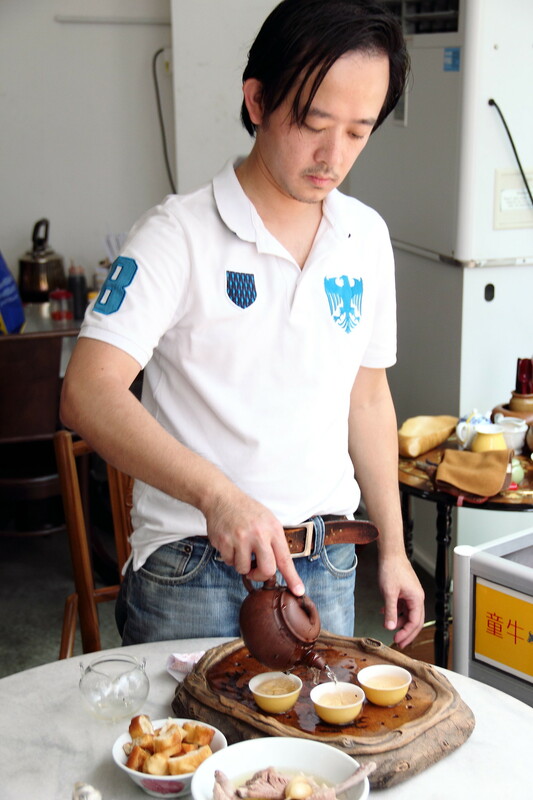 Lionel hopes to upkeep the tradition of pairing tea with pork rib soup with a modern element to arouse the interests of the younger generation. Besides floral tea and sliced pork belly, Lionel in recently years has also switched to using natural pork for their bak kut teh. Natural pork has no antobiotics, no medicated feed, no growth hormones and no animal protein by-products. Rong Cheng Bak Kut Teh definitely is my favourite to go place for a Bak Kut Teh whenever I have a craving. The outlet at Midview City is spacious and has ample parking lots. With its extended menu offering cooked food and steamed fish, it is ideal for a family meal together or group gathering. Rong Cheng Bak Kut Teh will be taking part for the very first time in this year Ultimate Hawker Fest 2014 at Suntec Convention and Exhibition Hall 401 & 402 on 22 November 2014, 11am to 5pm. This is a fund raising event for the beneficiaries under the care of Touch Community Services regardless of race and religions. Coupons for the event can be purchase at https://www.ultimatehawkerfest.sg/. Let's do a part for charity while at the same time savour of the best bak kut teh in Singapore. See you at Ultimate Hawker Fest 2014.